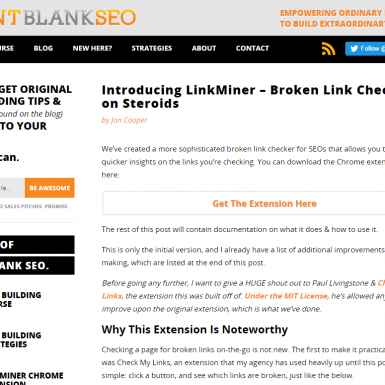 LinkMiner is Check My Links on steroids. It is a Chrome plugin which is, like many other tools, checks pages for broken links. 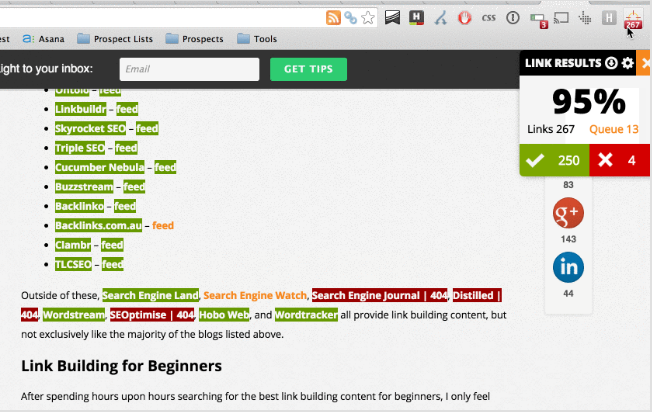 But it also shows you how many links point to the broken link! 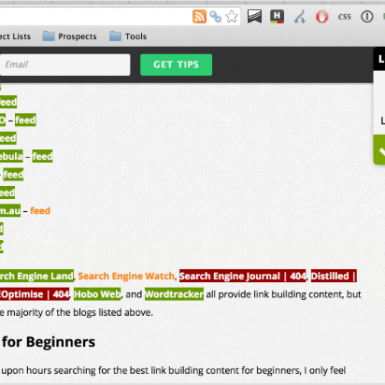 Very helpful for broken link building. 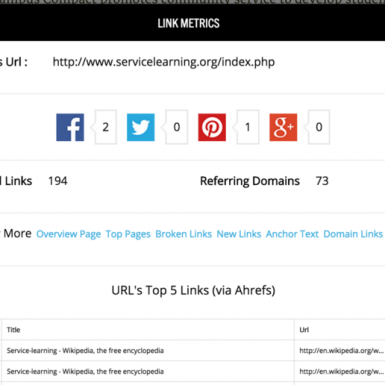 You can display link data on the page itself and export results as a CSV. 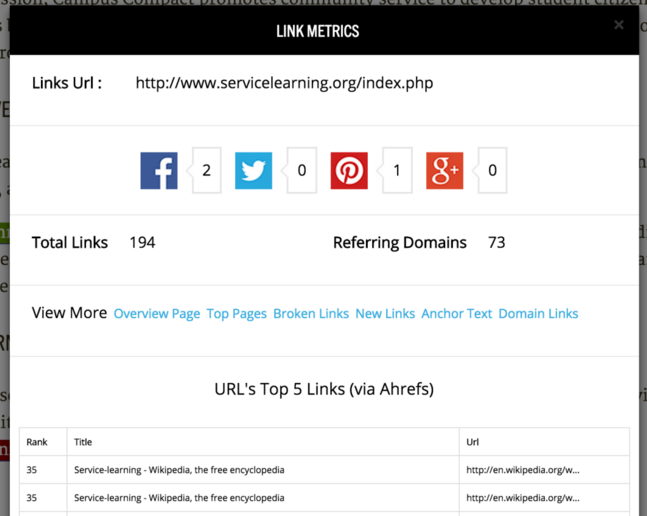 Something cool about LinkMiner is that it shows you how many outbound links a page has on a Google SERP. That way you can zero-in on pages with lots of outbound links (and therefore, broken link building opportunities).